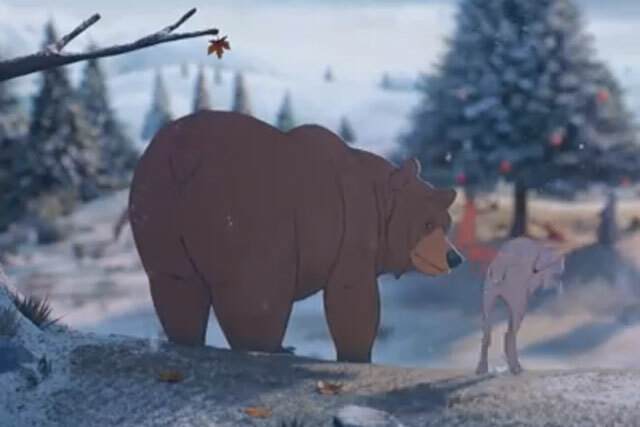 Christmas may be fading into memory now, but no review of John Lewis can ignore how the retailer again had the nation spellbound with its yarn about the friendship between a bear and hare. Every year the retailer's campaigns get bigger on social media, and while this could be down simply to the growing numbers of people on Twitter and Facebook, there is no doubting that the launch of the John Lewis Christmas ad is now a cultural event. It's having an effect on its bottom line; the retailer highlighted the campaign as a contributory factor in its weekly sales topping £100m for the first time in 2013. But it's not all about animated woodland creatures. 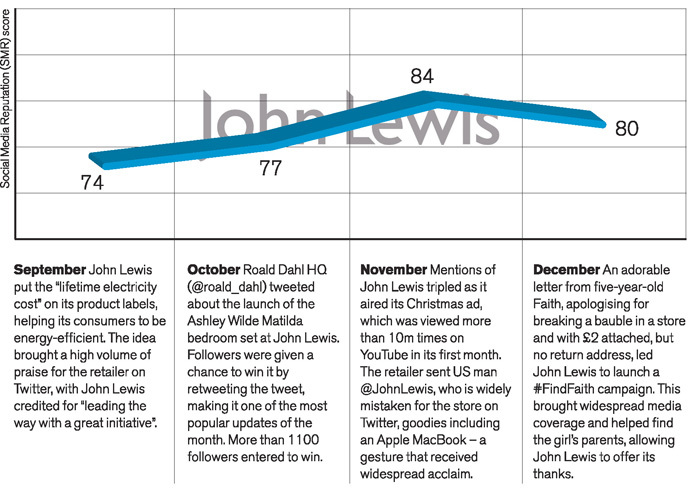 John Lewis has ably translated its trustworthy, "good egg" brand positioning to social, as evidenced by its #FindFaith campaign, detailed right, and its treatment of the US gent with whom it shares a name. John Lewis' clear understanding of social platforms has helped it extend the reach of its marketing and the conversations around it. 81% of discussion relating to John Lewis was driven by its Christmas ad campaign, featuring animated woodland creature friends. It was largely well-received, with 63% of related comments being positive in tone. In addition, 13% admitted to shedding a tear over the ad. 80% of product-related comment on Harvey Nichols related to its decision to restock fur after nine years. Some believe it has undermined its credentials as a store that cares about the provenance of its goods and the sensibilities of its customers.